Update for home owners and rural producers: To help with Australian summer heatwave conditions, cool-roofing product is now being made available for DIY installations. See bottom of this page for details. 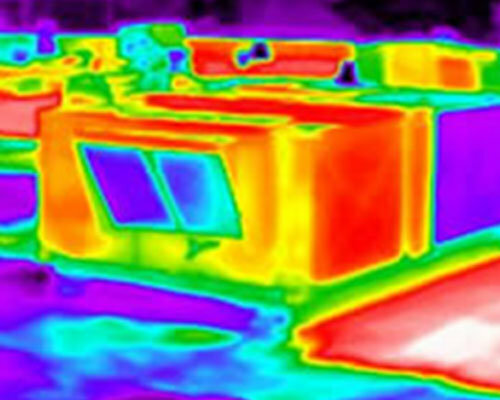 lack thermal comfort and reliability. QDoes your Air Conditioning always work reliably? QIs your building always cool and energy efficient? QIs your building securely fastened, leak proof and reliable? here’s some timely help for you. from EVER entering your building as heat & thermal stress. Applying ThermaGuard HRC is cheaper, faster and easier than plant replacement. 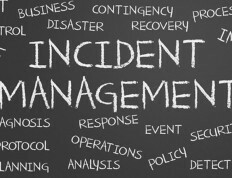 What painful reliability and comfort issues do you need solved? 1. 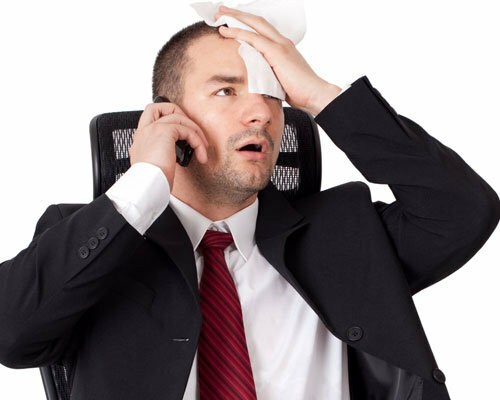 Is your building too hot and humid? 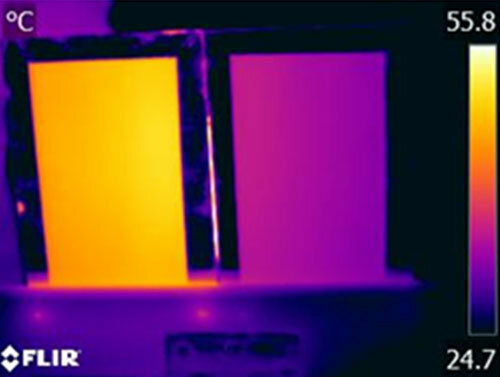 Stop solar rays punching heat through your roof top. 2. Are your chillers going to melt down? 3. 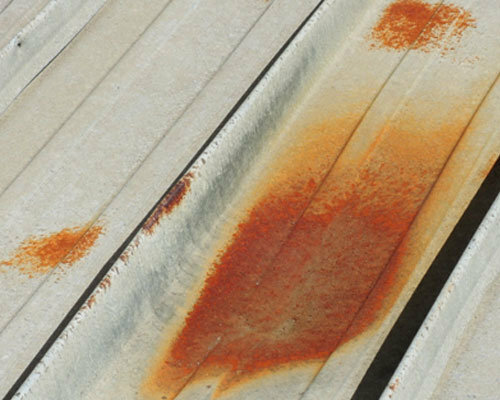 Do you need to stop Rust and Corrosion? 4. To avoid highly disruptive replacement? You must avoid shutdowns and disruption. 5. You need to coat & seal over Asbestos? 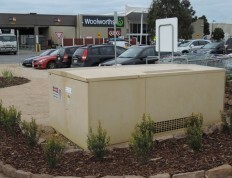 Case Study: Point Cook Town Centre trial provides more evidence. Comfort and service availability were assured at all times. in the trial zone operated without tripping. 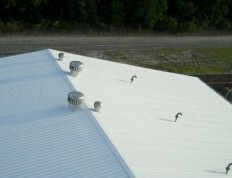 That unit was coated with ThermaGuard HRC cool roof paint. Surrounding chillers without ThermaGuard HRC triggered their thermal overload protection. And you’ll be pleased to know that the trial also established superior delivery of cooled airflow, reduced duty cycle and significant energy savings. Protecting your plant and maintaining comfort within – what would that mean to you? 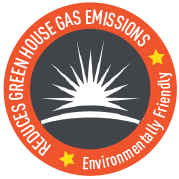 With 17 years in manufacturing cool roof coatings, we know what works and lasts. We are trusted by professionals caring for people and major property assets. 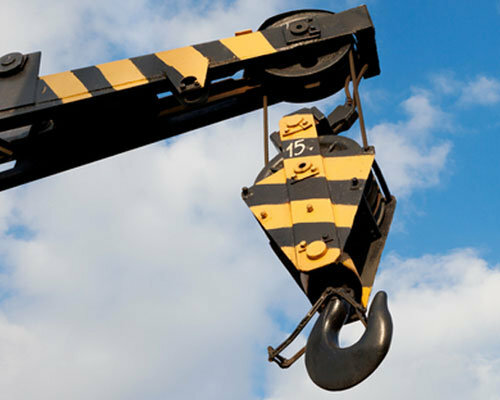 Where operational protection, reliability & safety are concerned, that’s us. We diagnose your pain and move rapidly to completion exactly as you’d expect. When any disruption has a business cost, our skilled planning means much less downtime to your tenanted or production areas. 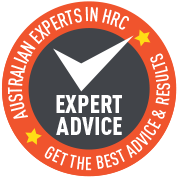 Let us guide you to be sure – Call on 1300 889 286 for help. Does your maintenance budget needs to perform for you? Yes, we hear you. 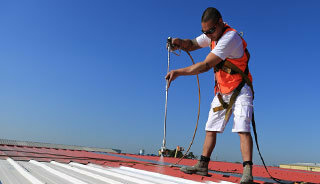 Each project is individually scoped and quoted for you, however to help you plan for a cool-roof coating that will work for many years, allow $30/m² as a first-order^ pricing guide. 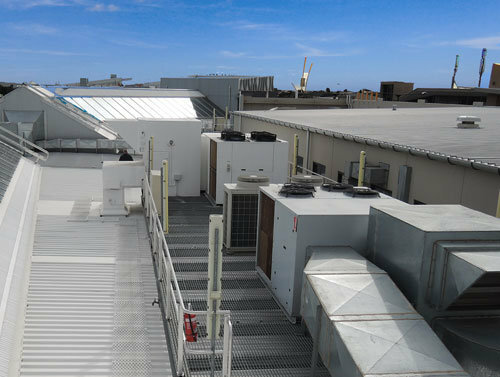 This cool-roof system is a Commercial Grade Coating extending service life and increasing comfort levels from day 1. 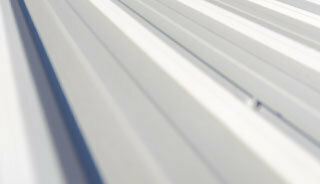 ^We’ve assumed your facility has a flat, low-set roof within a major metropolitan area. The guide covers your roof surfaces receiving 2 coats of ThermaguardHRC after a powerwash preparation. 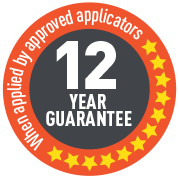 The ThermaGuard HRC service guarantee is included. To retain ongoing trust by Australia’s property professionals, you’ll find that our project and safety system is industry leading. 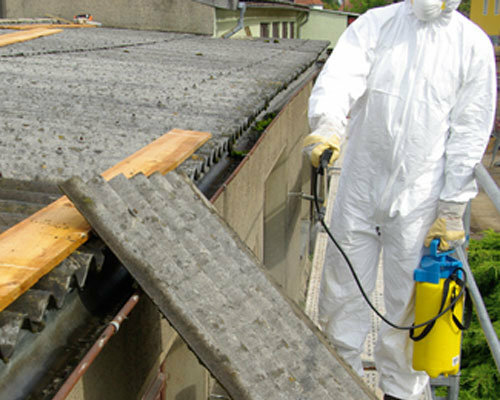 Qualified experts will diagnose the condition of the roof, plant enclosure, fasteners and material substrates. This is clearly specified before we enter in to contract with you. "Installing ThermaguardHRC avoided any shutdown at the Olympic Dam Copper smelter"
"By coating the roof over the Olympic Dam Copper smelter with Thermaguard HRC, we were able to solve an OH&S problem without it being a cause for a shut down in production. 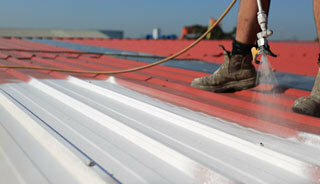 The working environment was extreme without the added heat penetrating from the sun through the metal roof. The problem was exacerbated by tiny leaks which allowed water to fall into the work space - a dangerous occurrence when working with molten metals. 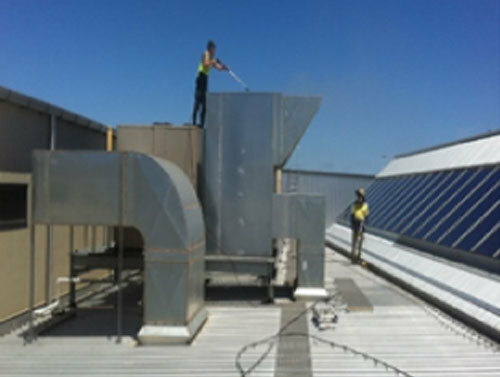 We were able to resolve this issue using ThermaGuard HRC without the need to replace the roof and without the need for process disruption"
Is it ‘Critical’ – is an urgent response required to help you? Remove the risk and worries of your building for less than 1/3 replacement cost. Keep People Comfortable. Save your chillers. Give an old galvanized steel roofing another long life. And save a fortune in electricity and maintenance . Do you want to try something really cool? We’ve set aside some ThermaGuard HRC sample packs with a job planner blueprint for you. To Prove IT Yourself simply put the plates in the sun and even after a few minutes, you’ll have your own opportunity to say ‘by crikey it really does work just like they said’! Offer applies during Summer Heatwave Only. With so many people wanting to cool their homes or essential produce, we’ve decided to help homeowners and farmers. Unfortunately some people are contacting us with distressing conditions for both affected people and also livestock. Often their location creates situations where only a DIY approach will work. So here we go – If you or your contractor can do the application work safely, then this may help. Please read carefully and send us a request using the form for ‘Get Your Free Sample’. Until heat conditions abate, we will ship ThermaGuard HRC product in 15 litre pails to home owners and producers with included instructions of how to install. We will also assist your painter on how to achieve the best performance. This offer applies around Australia and note freight costs apply depending upon location. This is a time limited offer: Due to heat conditions and drought being extreme in many parts of Australia, we will ship product to homeowners if you can organise the coverage by pressure wash cleaning and then rolling/spraying. The basic colour is white for maximum performance. If you need colour tinting, please get your local painter to make this up for you. If you need this service, then please send your details, Make sure you include your phone number because we are making specific arrangements – it’s not a one size fits all service. Note our core business is treating large commercial buildings and working with specialised companies, so please understand we are simply not resourced to give immediate responses or have people waiting for your call. How many litres will I need? 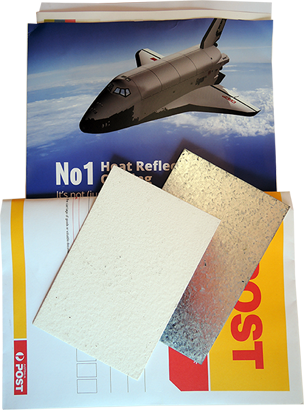 ThermaGuard HRC is applied professionally at a coverage of 1 litre to 2m² applied in two coats. It’s like a membrane. The pricing offered will be the best we can do and is affected by litres sent, so pricing is an inquiry to us please. Please tell us the area of your roof area if you know and make sure you advise of your address and we’ll use NearMap to assess as best we can for you. Where do we send your mailed sample? Cool RoofingChiller RescueRoof RestorationAsbestos SealingOther? 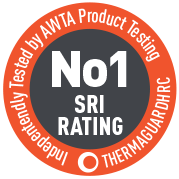 Are your roof surfaces ageing and suffering from long term thermal shock? Are you dreading hot weather because your chillers will stress and overload? 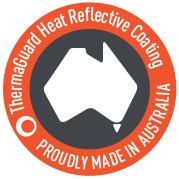 ThermaGuard HRC is a cool-coating applied without disruption to your business and helps saves your plant for a fraction of replacement cost. When labour and plant costs are same-same, you would want to apply a cool-coating that really works – right?. A thick coating of powerful resins, binders, inhibitors and ceramics. Systemised & refined over 17 years.